I can't install new plugins, or update old ones (install: even with manual upload). The button "Install new ... plugin" only throws a blank page. 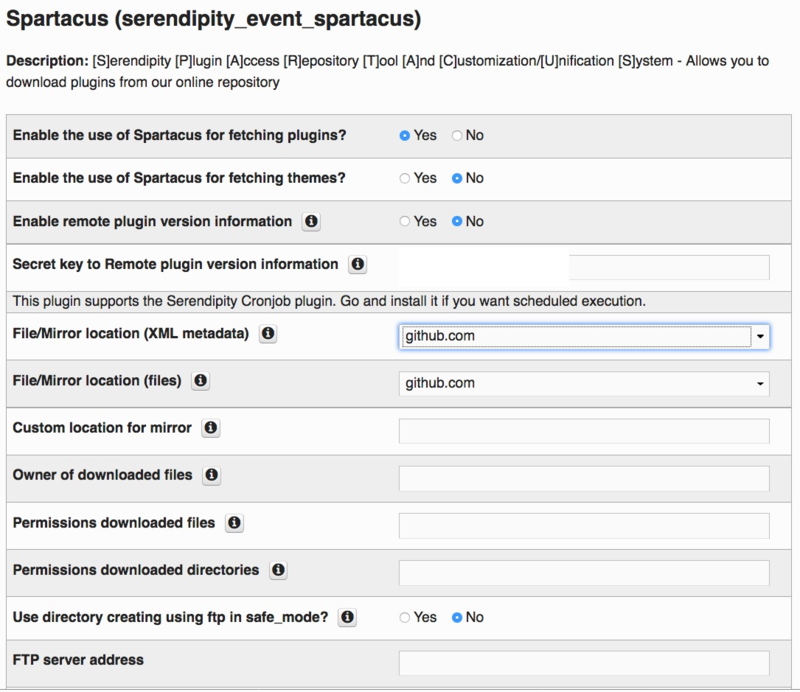 Spartacus is set to github. The Media Center view also only gives a blank page, not the overview of the media center content. The IP is correct, host www.juggerblog.net resolves to 85.158.176.61 and port 443 serves the https protocol. Status code 500 Internal Server Error means the server could be reached but probably has some misconfiguration. A bad web server profile or already an error in some .htaccess file may cause that. Hmmm. I tried a clean htaccess fiel (only with s9y basics) and it works when trying to install Sidebar plug-ins, but not Event plug-ins ... I should probably contact the provider. Anything typical to ask them? The button "Install new ... plugin" only throws a blank page. A blank page mostly means a PHP error terminating the script (without debug output), i.e. Error 500 (internal server error). You could have a look into the logs or enable debugging to display error messages in the browser. $serendipity['production'] = FALSE in serendipity_config_local.inc.php should do the latter.